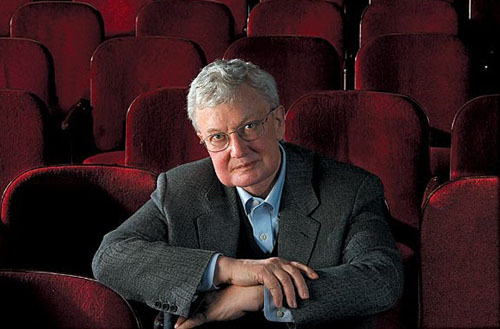 I discovered Roger Ebert in 2003 when I was living in Africa and started engaging with films in a deeper way.His review appears on top of the IMDB external reviews page and I clicked on them simply because they were right on top.After reading a few of his reviews I felt there no need to look at others because I had found a voice that I could immediately identify with.It was a voice drenched in a deep love for cinema.Here was a man who wrote about films because he loved them and needed to write.And in the process of writing he shared quite a bit of himself.If one read his piece on any of the films it would inspire one to find out more about the director and look up his other films.Eventually I found his Great Movies reviews, which was a treasure chest of some of the best films of all time and it included many obscure gems.A Roger Ebert Great Movies essay was a place to dive in and emerge with a sense of awe for the film, its maker and also the art and craft of film criticism. I printed out the great movies list and started ticking them off.Never was I disheartened that I had not seen so many of them.After all it was Roger who told us “When ever I meet someone who has not seen Singing in the Rain, I am jealous because a great first time experience awaits them!”.I saw myself as that privileged class to whom hundreds of wonderful films were waiting to happen.Roger made me seriously rich! His blog was another story.This was like sitting down over a cup of coffee with a great mind and listen to him hold forth.And then if you had something worthwhile to say you could leave a comment.If you said something interesting Roger would write back, his pithy replies in bold letter made my day a few times.The fact that I had communicated with this stalwart would leave me grinning from ear to ear. I regularly shared his reviews with my wife.Often while going for a film she would teasingly ask me the story of the film.I would reply that I don’t know and immediately proceed to tell her some interesting things about the film.I had developed my personal style of reading a Ebert review.Scan the star rating, compare with his readers rating(a very discerning lot! ), read the first and last paragraph and a couple of sentences in between and I had a good idea if the film was my cup of tea.Then I saw the film and read the review again, to increase the enjoyment of the film and compare notes with this great mind.This was an exercise which made me a much better film viewer and expanded my mind considerably.Of course I saw and enjoyed many films he panned.That was part of his gift. More than anything else I admired him for his ability to connect the films to his personal life and the big wide world around him.He had the ability to provoke discussion like no other.The quality of comments on his blog was of such a high standard that reading the comments would make me think I am in one of the famed gymnasiums of ancient Greece where minds were being exercised with debate and discussion.Roger engaged with us on twitter endlessly.His tweets would often contain very interesting links and I would wonder how he did so much alone.Of course I disagreed with him and was angry with him many times.I saw his personal prejudices, his blind love for a few directors and how he had tweaked his star ratings so as not to antagonize the studios.Maybe these were the concoctions of the conspiracy theorist in me but they made me see Roger not as some kind of God but a very interesting human being.When he contradicted himself he was promptly pulled up by his vigilant readers to which he conceded astutely,”I am voluminous, so I am full of contradictions”.It was a joy to see him write a Great Movie review for a film he had rated as being mediocre decades back.It taught me to take oneself seriously enough to make amends. Mostlycinema.com owes a great deal to him.I try to write in a similar tone, trying to put out an informed opinion out there so that my readers can form their own.Film criticism, I learnt from Roger should mix deep personal opinion tempered with a wide understanding of cinema as both art and craft and its sociopolitical context. And like him I felt that writing about cinema works best if mixed with our other interests.Roger wrote a cookbook and a journal about London, his favorite city, as well as wide ranging subjects from science to religion to politics on his blog.Roger Ebert lives on with the love of cinema that he has planted in millions of hearts and I will forever be grateful to him for changing my life and help me discover my passion. Thank you Roger, you did real good! like you….I was a Roger Ebert fan all along since 2009 when I accidentally came across the movie beyonf the valley of the dolls…and since then like I am tickking off his list of great movies….thanks for your blog…you reminded me of this stalwart this morning. Thanks Amartya, indeed he was great..made so many people appreciate cinema in a whole new way! !